Search Harley engine builds with specific cams, heads, exhaust, etc. and see how they perform BEFORE you spend your hard earned dollars on buying the parts and paying to have them installed. Enter your bike and build details in your Virtual Garage and share with your fellow riders. Then upload your Dyno Chart to see the build results. Are you a builder? Show the world what you can do. Enter all your builds and dyno results. Harley and Buell owners are typically Harley/Buell owners because the bikes offer a great, quality platform that anyone can start with and make it their own. With a large after-market parts collection available, the possibilities are infinite. But it is also that infinite combination that can make doing an engine build intimidating and confusing. How often have you heard stories of Harley/Buell owners, in the search of the ultimate street performance build, who end up with a less than desirable outcome, resulting in more time and money to further modify their build(s)? Welcome to TheDynoRoom.com, a virtual lab to share, compare, and learn the best combinations of engine parts to achieve our performance goals. So tell us about your build, and join in the quest for the "Ultimate Build"! "Fill Up" your virtual Garage - Enter the details of the bikes you've owned and the builds you've completed with each, including the resulting Dyno runs, and see how your build stacks up. 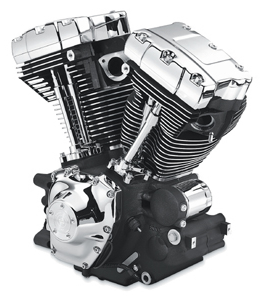 Search Harley engine builds and see their results. Compare build results on an equal playing field by comparing their TQ/CU IN and HP/CU IN ratios so see which combination creates the best torque and horsepower per cubic inch. How does yours stack up? EFI Maps - It's very costly to have a MAP generated. Post your MAP file with your build and share it with others. Share your build info and Dyno results with friends on Facebook, Twitter and others. This site is in Beta mode...that means it just started and may have some technical issues, and could use some functionality improvements. Please tell us about technical difficulties or give us suggestions here. Note you will have to register to view build details or create start filling your Garage. The site gets a new look and feel to be a bit more modern. We hope you like it. Added a new module on the home page to show the top ten engine builds in terms of Torque/CU IN to see who has created the most efficient engine builds. A great place to get ideas for your next Harley Performance mod. On your user profile, there is now a entry for the email address to post to your favorite Yahoo Group. Once logged in, click on your name in the upper right corner to edit your profile. Enter the email address to post messages to (you can get this email address from the yahoo group home page). Then when you add a new Dyno run, it will post the details automatically to your yahoo group to share with them. Made the build information entry faster by forcing the page not to refresh every time you choose a different manufacturer or part. Added a new Help Page.